The American TFP > TFP Recommends Books > What Is Behind America’s Complacency? 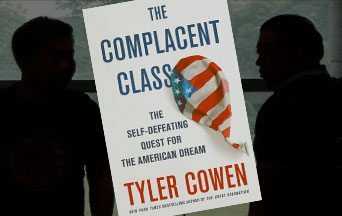 A Review of The Complacent Class: The Self-Defeating Quest for the American Dream by Tyler Cowen. This entry was posted in TFP Recommends Books and tagged America, America's complacency, Book Review, complacency, economic, families, Family, frenetic intemperance, moral choice, moral values, morality, restlessness, society, The Complacent Society: The Self-Defeating Quest for the American Dream, Tyler Cowen by John Horvat II. Bookmark the permalink.